The yacht designers on this list are some of the biggest names in superyacht design, so it’s no surprise that they’ve also penned the exteriors of more of the biggest yachts in the world than anyone else. Each year, Boat International takes a look at the Top Largest Yachts in the world, and this year we went one step further and took stock of the designers who are responsible for creating the exteriors of these impressive vessels. Counting up the results, we found that some designers stood out above the rest in terms of sheer numbers. 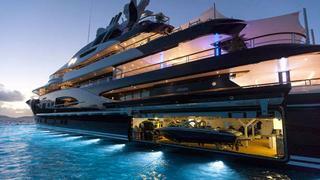 Here we present the top five exterior designers of the world’s largest yachts. Monaco-based designer Espen Øino has designed 11 of the Top 101 largest yachts in the world – more than any other designer – earning him the accolade as the top exterior designer of the world’s largest yachts. In fact, Øino is responsible for three of the new entries into the Top 101 list for 2014, including the largest new entry, the highly-secretive 140-metre Fincantieri Ocean Victory, which was delivered in December 2014. 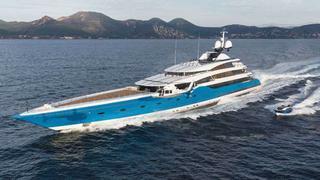 Øino also designed the exterior of Fincantieri’s stunning 134-metre Serene, the 12th largest yacht in the world. 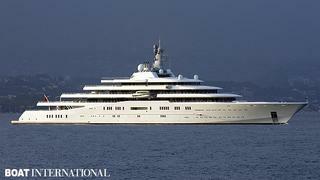 But Øino has designed even larger yachts, with the fourth-largest yacht in the world, 155-metre Lürssen Al Said, in his portfolio. Seven of the 11 largest yachts he has designed are actually Lürssen yachts, including the new 95.2-metre Kismet and the 85.1-metre Valerie _and _Solandge, which is now available for charter. Øino’s place on the list is made more impressive by the fact that compared to stats from 2004, only he and Terrence Disdale have retained their spots as the top five designers of the world’s largest yachts a decade later. UK yacht designer Tim Heywood, like many industry greats, started out under the guidance of the legendary Jon Bannenberg. In 1996, he struck out on his own and has made a name for himself with his trademark curvaceous exterior lines. Heywood is one of the top exterior designers in the world, having designed 10 of the largest yachts, including 147.25-metre Lürssen Topaz and the iconic yacht Carinthia VII, a 97.2 Lürssen built for Heidi Horten. 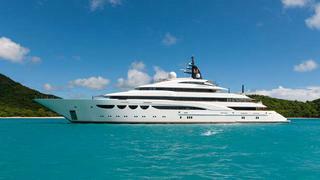 The newly launched 104-metre Lürssen Quantum Blue is also by Heywood, with interiors by the late Alberto Pinto. Heywood also penned the Derecktor-built 85.6-metre Cakewalk, the largest US-built yacht since the 1930s by LOA and the biggest by volume, and his signature style can be seen in her shapely lines. Last year was a big one for Andrew Winch Designs in the UK. The 99-metre Feadship Madame Gu, designed by Winch, was named the Motor Yacht of the Year in the World Superyacht Awards 2014, and she also nabbed the design house a personal recognition in the ShowBoats Design Awards (SBDA) winning the Exterior Design & Styling Award – Displacement Motor Yachts 60m+. Winch also took a double win in the SBDA Tender Design Award category for both the Limo T/T to Sea Owl and the Open T/T Madame Gu. Andrew Winch Designs has designed the exteriors of five of the world’s Top 101 largest yachts, and impressively, he has also been responsible for the interior design of each yacht. This includes the third-largest yacht in the world, 162-metre Dubai, as well as the dramatically styled 90.02-metre Phoenix 2 _and the eye-catching 85-metre _Ace, the latter both built by Lürssen. The skilled Italian design duo of Carlo Nuvolari and Dan Lenard have breathed life into five of the largest yachts in the world – four Oceancos and one Lürssen. 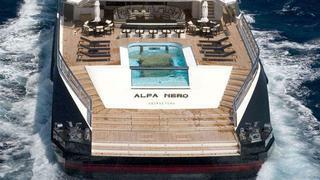 These include the iconic 81.27-metre Oceanco yacht Alfa Nero, who paved the way for the aft-deck infinity pool that is a popular design feature on today’s superyachts. Other Nuvolari Lenard designs for Oceanco – for which they did exteriors and interiors – include Steven Spielberg’s 86-metre superyacht Seven Seas and 85.47-metre Vibrant Curiousity, with her jaw-dropping atrium. More recently, Nuvolari Lenard styled the exterior and interiors of 88-metre Lürssen Quattroelle, which was inspired by the four Ls “Love, life, liberty and luxury” and stands out with sugar-scoop windows and sleek styling. 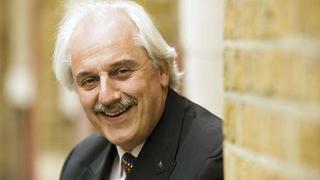 In 2014, UK yacht designer Terence Disdale received the Lifetime Achievement Award during the ShowBoats Design Awards. Seeing as he’s designed five of the largest yachts in the world, and has remained on the list of designer that have designed the most large yachts for 10 years, the honour seems especially well earned. The largest yacht Disdale has designed was once the biggest yacht in the world, in fact. The 162.5-metre Blohm+Voss Eclipse, with exteriors and interiors by Disdale, held the top spot until she was recently outpaced by 180-metre Lürssen Azzam. 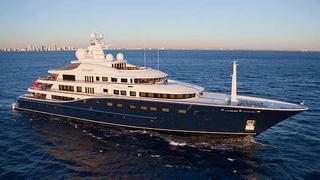 Disdale has also leant his talents to the 10th largest yacht in the world, 139-metre Lürssen Al Salamah, and he also styled the recently launched 81.8-metre Abeking & Rasmussen Kibo inside and out.